Yi Shi studied medicine at Shanghai Medical College, Fudan University (CHN) and did her PhD study at the Department of Pharmacology and Pharmacy of the University of Hong Kong. After that, she joined Professor Thomas F. Lüscher at the Cardiovascular Research Laboratory in Zurich as postdoctoral fellow. In 2012 Yi Shi was appointed Associate Professor at the Fudan University. Currently she is working at the Biomedical Research Laboratory of the Zhongshan Hospital, Shanghai. 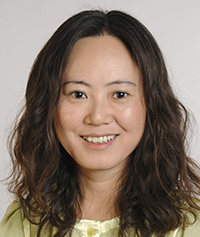 Her research interest includes the cardiovascular pharmacology of natural products including Chinese medicine, in particular the modulatory actions on vascular reactivity as well as the effects of endothelial function on allograft rejection and tolerance.